An educator for over twenty-five years, Toki retired as a faculty member from the California College of the Arts, in 2007. 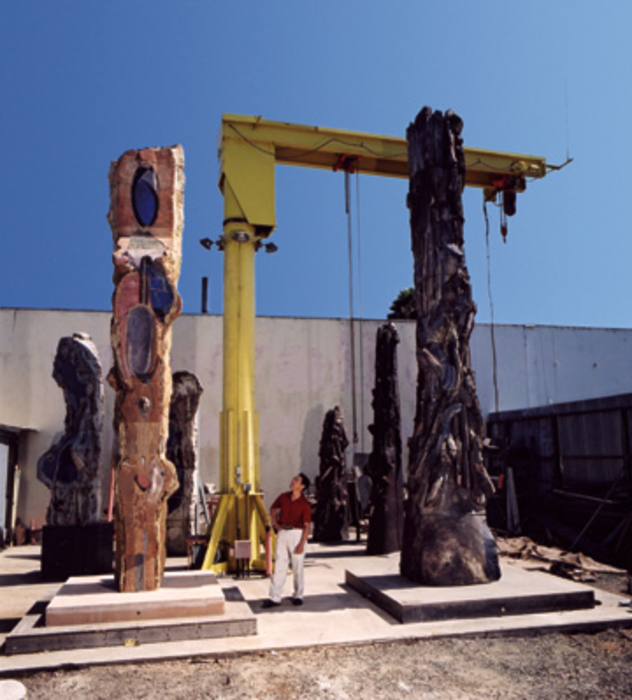 Throughout his career he has conducted workshops and lectured widely: Including Kent State University, University of California, Berkeley, Otis Art Institute, San Francisco Art Institute, and at colleges and institutions in Canada, Holland, Taiwan and Turkey. In 2014, Toki was a speaker at the DeYoung Museum, San Francisco, and in 2016, Toki presented a lecture with Nancy Servis, titled, Innovations in California Clay, at the National Council on the Education of Ceramic Art, Kansas City, Missouri. He has served as a workshop leader at the John Michael Kohler Arts Center Arts Industry Program, Wisconsin, and as a staff member at the European Ceramic Work Center, Holland. Residencies and workshops include Watershed Center for the Ceramic Arts, Anderson Ranch Arts Center, Idyllwild Arts, and the Mendocino Art Center. Toki has been a juror for more than thirty-five exhibitions and competitions, including the California Arts Council, California State Fair, San Francisco Women Artists, Bedford Gallery, as well as for the Berkeley and Alameda County Art Commission, Pacific Rim Sculptor’s Exhibition at the Richmond Art Center, CA, and at the Carnegie Art Center, Turlock, California. In 2010, Toki was named Contra Costa College, Distinguished Alumnus of the Year, and in 2013, he was the recipient of the National Council on the Education of Ceramic Arts, Outstanding Achievement Award, Houston, Texas, and honored by the City of Berkeley’s Mayor Tom Bates, for John Toki Day, in appreciation of his contribution to the arts. In addition to his art practice, Toki has been a textbook writer for over twenty-five years, and has co-authored three books on ceramics: Hands In Clay, 5th edition, Make It In Clay 2nd edition, McGraw Hill, and Fired by Ideals, Arequipa Pottery, Pomegranate Press. He is presently the Associate Director of Mission Clay Art and Industry Program, Corona, California, and supports the arts as a board member of the American Museum of Ceramic Art, Pomona, California.